I wrote the following for Tibet Fund for its special publication on the occasion of its 35 years of service. It is on page 27 of the publication. As with all Tibetans of my generation, my choice of a career was shaped more by the availability of funding/scholarship rather than by my own personal ambition. Growing up I had an interest in science (wanted to be a medical doctor, no surprise there as everyone then wanted to be one! ), but when the time came for me to choose my field of study in the last two years of my high school, the only option provided to students of my group was in humanities and not science. I then developed an interest in journalism. My choice, after my undergraduate study, included applying for a job with a media organization or applying for admission to a mass communication school. I did both. 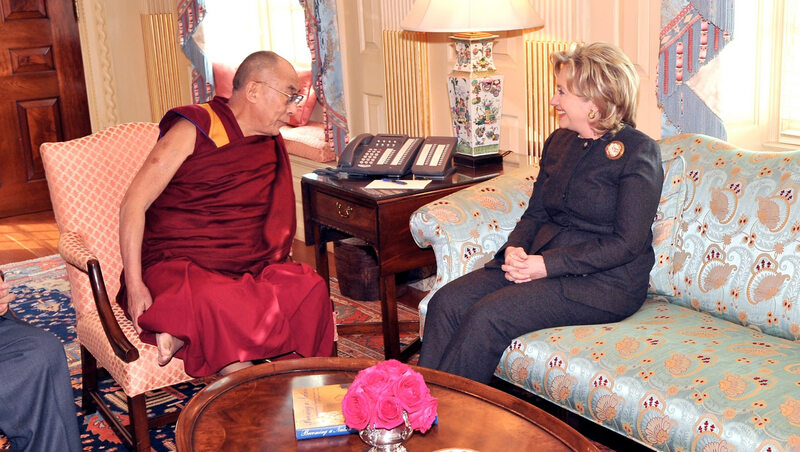 As the November 8, 2016 US Presidential elections draw near, there are those who are predicting a very close race between Republican candidate Donald Trump and Democratic candidate Hillary Clinton.Tibetan Americans and friends and supporters of the Tibetan people are watching the developments closely. In past elections, Tibetan Americans have shown themselves to be single-issue voters; with Party affiliations being regarded secondary to how the candidate has shown his (and now her) support to Tibet. During President George W. Bush’s re-election in 2004, quite many Tibetan Americans said they voted for him even though they identified themselves as being Democrat. This was because President George W. Bush clearly spoke out in support of the Dalai Lama and Tibet. Reposting this from the blog of the International Campaign for Tibet. On April 27, 2016, the Tibetan Election Commission announced the results of the Sikyong and parliamentary elections < http://tibet.net/2016/04/final-results-of-sikyong-and-tibetan-parliamentary-elections-declared/&gt;. Except in the case of some members of parliament, for the Sikyong and some other MPs, the results were already known and this is a mere formality. There have been some discussions about the degeneration of the Tibetan society in diaspora in the months leading to the elections, with now even the politicians realizing their shortsightedness. There have been some damage but all is not lost in the broader scheme of things. In the past when there were concerns about his devolution of authority, His Holiness the Dalai Lama had said it is better that the people tread on this path of self-reliance while he was still active as he can then provide guidance if things go astray. Therefore, the recent development was something that would have happened at any time given the nature of the system and it was good that it happened now while corrective measures can be taken. In any case, I wrote the following after the previous election cycle in 2011. Upon re-reading it, other than there being a change in the nomenclature from “Kalon Tripa” to “Sikyong” the rest of my assertion continues to be valid for the new administration under Sikyong Lobsang Sangay. Therefore, I am reposting it. Today, the Tibetan Election Commission in Dharamsala, India, announced the results of the general elections held on March 20, 2011 to elect the Kalon Tripa, the Chairman of the Tibetan Cabinet, and members of the Tibetan Parliament. As pointed out in the statement our organization issued today, congratulations are due not just to the winners but also to all the Tibetan people who participated in this historic democratic process. Above all, this is yet another testimony to the foresight of His Holiness the Dalai Lama in his several decades-long efforts at democratizing the Tibetan governances system. When campaigning began for the present election cycle in 2009, I wrote the following about what the next Kalon Tripa’s responsibilities would be. “The next Kalon Tripa should devote his or her time and effort to the consolidation of the Tibetan community, becoming their spokesperson and look into creation of a system providing a continuation of leadership. “There are three main ways to implement this provision of political leadership. Now that the Tibetan Election Commission has announced the candidates for the forthcoming elections to the post of Sikyong and for parliamentarians, campaigning, which had been going on ever before that, is taking a more aggressive turn. This is good for the strengthening of Tibetan democracy. As voters we need to know the person we wish to elect. For candidates, it is their responsibility to see that the voters are clearly informed of what they stand for and what they aspire to deliver once in office. Thus, campaigning becomes the main vehicle to do this. However, a better democracy is one where there is positive campaigning. Unfortunately, during this election cycle we are noticing a growing trend in negative campaigning by the candidates, both directly and indirectly through surrogates. More alarming is the use of surrogates (oftentimes anonymous) to launch vitriolic attacks through acerbic and malicious assertions against some candidates. The growth of social media and the somewhat superficial coverage of developments by some section of the traditional media are providing fuel for this, leading to confusion and commotion rather than clarity. This is a dangerous development that might lead to wounds and divisions in the small society that might not heal even after the elections are over. Lately, whenever I speak with another Tibetan there is frustration with the current tenor of campaign rhetoric and a concern about where this situation might be leading us. The Tibetan society is moving to a new stage of assessing the candidates, from that of regionalism and factionalism to one of individual worth. Among those standing up for elections to the Tibetan Parliament, for example, there are many well-meaning ones (I personally know some of them) who have been in the service of the community in different capacity. The nature of the elections is such that not everyone will be elected. Therefore, it should not be that the shortsighted and ill informed utterances of a few lead to the discouragement of people from serving the community in the future. While the Sikyong position has some perks (notwithstanding the somewhat puny remuneration), the parliamentarians for the most part have to devote personal time, energy and resources to their new responsibility in addition to doing their routine jobs. Therefore, the candidates and the voters have responsibilities to alter the situation and not let it go out of control. There is a need for political civility. The candidates and voters should bear in mind that our focus should be on issues and not on personalities. We should have frank exchanges of views on the position of the candidates on issues, whether they are as fundamental as the resolution of the Tibetan issue or day-to-day matter like social development programs. But we should stop disseminating information that is personal attacks against particular candidates. It is the right of the voters to support any particular candidate but we do not have the right to malign others. We also should not encourage the candidates to ‘hit each other below the belts’ just because we think that will score a point. Tough questions need to be posed, whether by voters or the media. But everything has to be based on facts and not on hearsay, rumors or half-truths. I myself have seen a few documents circulating out there that are based on ignorance and also have no bearing to the issue. I am told on WeChat or Facebook there are more such destructive assertions being made of specific individuals. I would particularly urge the candidates not to try pulling a fast one to be elected and in the process harm the broader community. In other words, they should not miss the wood for the trees. I think the candidates should strive to do this. 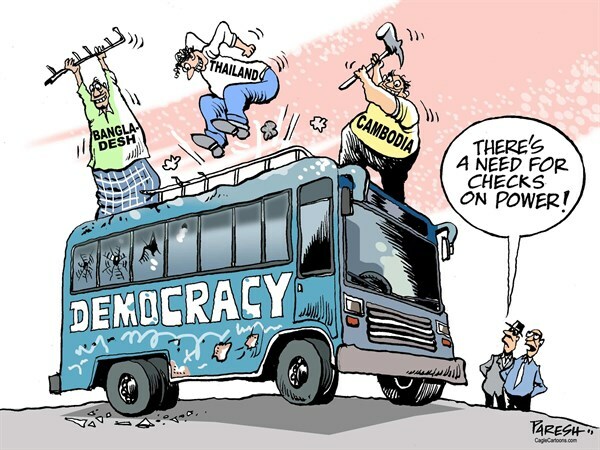 They should not dent the bus of democracy just to be elected and in the process make it useless to the voters who are the passengers. To put it in another way, the elections are not a one-night stand. There is the day after that we have to live with and it should not be the case that we have a splitting headache to deal with then. In February, two elections that I am following closely will take interesting turns. One of them is of course the American presidential elections and the Iowa caucuses of both the Democratic and Republican parties on February 1 might give us a clearer idea of who the likely candidate is or in the case of the Republican Party, whether Donald Trump has any future. What the caucuses essentially do is to empower the people at the local level to select their choice for presidential candidate and also to appoint their delegates that will take the process to the next level, eventually leading to delegates to the two conventions that will formally select the respective party’s candidate. The process in the caucuses is not uniform though. In Iowa, the Republicans will have the people write down their choices, while in the case of the Democrats, the people will physically align themselves with groups that support a particular candidate. So, next week we will have some clarity. The other election is that of the Tibetans in diaspora. An interesting border-less democracy is in action as the small Tibetan communities in exile, spread over more than 30 countries, is in the process of choosing their Sikyong (political head) and members of the Tibetan Parliament. Tibetan election is a two stage process and it began in October 2015 when primary elections were held to nominate candidates. In between and before that there have been hectic campaigning, both direct and indirect ones. Now on February 3, the Tibetan Election Commission will announce the list of final candidates. We will then see the campaigning becoming fiercer. I had the opportunity to watch one of the debates among those vying for the North American seats to the Tibetan Parliament. I am told there will be a debate between the Sikyong candidates soon. One thing is clear: we are slowly seeing a change in the attitude of the candidates; from that of being modest and humble to one of projecting oneself as better than the rest. This time, social media is an integral part of the campaign vehicles. Of course, Facebook seems to be the preferred medium although I am told there are several WeChat groups that dedicate time and efforts to discussing the potentials of the Sikyong candidates. American political campaigning is taking a nasty turn currently. I hope the Tibetan campaigning can avoid that while being forthright about differences in positions. The jury is out on that. 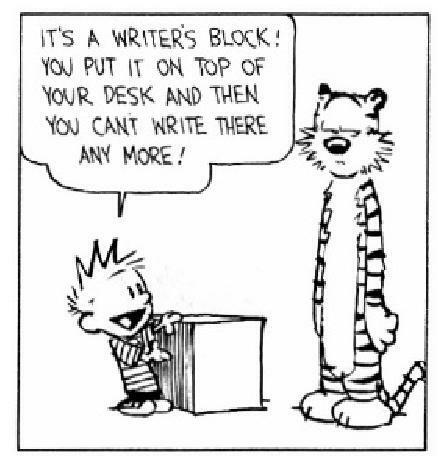 Writer’s “Blog” or writer’s block? I have not posted anything on this site for quite a few months. 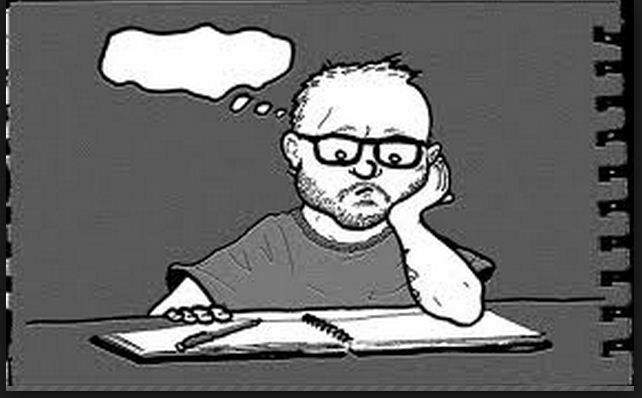 In fact , I have not done any such writings for some time, except for the work-related output that seems to come out mechanically. Some people have noticed the absence; I, too, have been noticing it. The other day I was watching this video of Samdhong Rinpoche’s commentary on the iconic Tibetan Buddhist scripture Lojong Tsig-gyema (བློ་སྦྱོང་ཚིགས་བརྒྱད་མ། Eight Verses of Training of the Mind) by the 11th century master Langri Tangpa. In eight short verses Langri Tangpa shows the path to inner transformation of an individual, and, when practiced, helps you in becoming a better person. But this blog piece is about another transformation, rather re-transformation i.e. the person of Samdhong Rinpoche. To date, those who follow the issue of Tibetan culture and politics have seen two faces of Samdhong Rinpoche. For much of the initial post 1959 period, Rinpoche was an academician, beginning with teaching in, and administering, some of the Central Schools for Tibetans in India. Thereafter, he made his mark as the head of the Central Institute of Higher Tibetan Studies (renamed now as Central University of Tibetan Studies) in Sarnath. This university continues to be the premier institute for Tibetan Buddhist studies internationally. His stint at the university also led to his fame as a scholar with the title of “Prof.” attached to his name that has become to symbolize the same. I have not had the privilege of being a student of Rinpoche, but many of my friends and colleagues have, and they are all bonded by their common reverence to him. After Rinpoche was nominated by His Holiness the Dalai Lama to be a member of the Tibetan Parliament in 1991, we saw another aspect of him, that of a political leader. He has been one of the key personalities who have assisted His Holiness in shaping Tibetan democracy, whether it was drafting of the Charter of the Tibetans in Exile or restructuring the working of the Tibetan Parliament or the Kashag, of which he was the head until his retirement in 2011.